Looking to keep the kids entertained during the Easter holidays? We've put together a cracking guide for you. Save on your travel with our Family Day Ticket – only £10 and can be bought on the Go North East app or from your driver. The tickets covers up to two adults and three children under 16, with a minimum of one adult and one child required. Hop along to the museum to find out how Easter was celebrated in the 1820s, 1900s and 1940s! There’ll be plenty to see and do. You can even save on the admission with us – get 25% off the standard individual admission price by showing your bus ticket at the admission desk. This Easter, from 6 until 22 April, Blue Reef Aquarium is celebrating the egg-laying animals of the sea. As well as some egg-cellent fun Blue Reef have an amazing undersea visitor – Sirena the Mermaid… she will be swimming down to Tynemouth on the 13, 14 and 22 April to meet you and tell her tales of the sea. As if all of that fun wasn’t enough, you can save £2 per person when travelling with us – just show your bus ticket at reception. The awesome LEGO® brick sculptures include an outstanding owl, kingsize kingfisher and enormous otter and will form a fun trail, perfect for families and children to take part in. Plus, book onto an exciting workshop and be prepared for a fantastic day out for all of the family! Whether you prefer a Mars or a Milky Way, Life Science Centre is a feast for the whole Galaxy this Easter and children go free – one free child entry with every full paying adult! There’s plenty of Easter holiday fun to be had at Stephenson Railway Museum – ride the Easter Eggspress, follow the Easter egg trail around the museum and take part in arts and crafts. Hop along and join in the fun at Discovery Museum – decorate eggcups, create your very own hatching chick and take part in the family egg drop challenge. Visit Jarrow Hall this Easter to hunt for dragon eggs, get interactive with the new additions on the rare breed farm and see the Anglo Saxon village come to life. There's plenty going on at Great North Museum: Hancock this Easter, with animal encounters, Dinosaur Day, birds of prey and much more. The Easter Bunny's friends are lost in the park! Can you help find them? Complete the trail and collect a sticker. £1 per trail sheet which can be purchased from the café during opening hours. Fill your Easter with family fun, delicious Cadbury treats, and egg-citing egg hunts! Cadbury's have partnered with the National Trust to create lots of action-packed days out, so for a real Easter adventure, why not take the whole family to one of the Easter egg hunts? 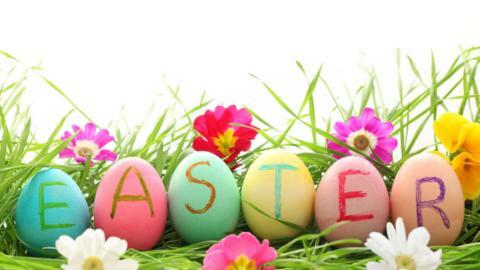 If you're travelling over Easter weekend, don't forget some services will run to Sunday timetables on Good Friday, Easter Sunday and Easter Monday, and some will also run to special timetables. Follow us on Facebook, Twitter and Instagram for more days out ideas.